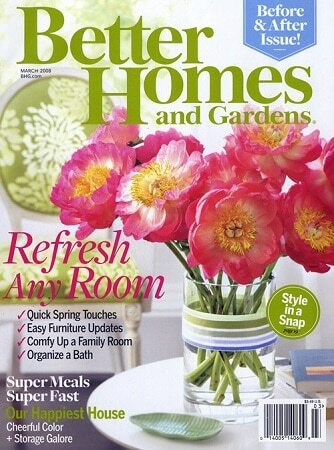 Head over to Mercury Magazines and sign up to receive a FREE 2-year Better Homes & Gardens Magazine Subscription! Keep in mind you may be offered several other different subscriptions based on the answers you give when filling out your information. You can score several different magazine subscriptions! Note: This site will show you a few other offers. I usually click the “skip” button or scroll down and find the “no thanks” button. Better Homes and Gardens issues are packed with bedrooms that wrap you in warmth, kitchens that start your day with sunshine, gardens that greet you with gladness, porches that put you at peace, and recipes that become instant family classics.